Earlier this year, Andreja underwent sexual reassignment surgery (SRS). She always knew she was a woman, but her body, or at least parts of it, didn’t match up. Yesterday, the model trekked from her current Williamsburg digs to LGBT advocacy group GLAAD’s Chelsea headquarters to speak, for the first time, about her transition. Donning a white crop top and embellished Ports 1961 skirt, Pejic, who was born in Bosnia and Herzegovina but was raised in Melbourne (hence her charming Aussie accent), looked as angelic as ever. “I feel good,” she told me before sitting down. It showed. I am so genuinely happy that Andreja has had the confidence and happiness to allow herself to speak publicly about a very personal journey. We are now once more presented with a mainstream public figure who can aid the journey of change into the way society views the trans* community. Gay propaganda is forbidden in Moscow. A lot of countries condemn this, but it’s time for personal support from inside the country. 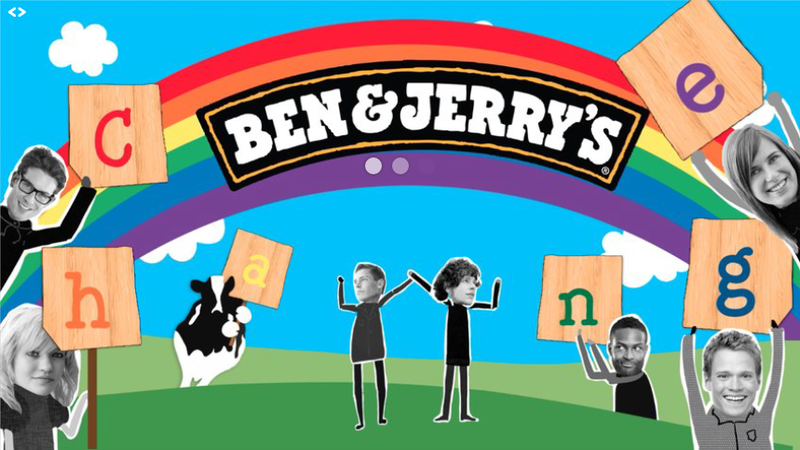 Ben and Jerry’s creates special packages replacing ‘Ben’ and ‘Jerry’ with names of gay couples and sell them in supermarkets in Moscow. Additionally gay Moscovites can participate in gay prides around the world. They dance in front of their webcam and are projected live on Ben and Jerry’s trucks in gay prides worldwide. Being the first to ‘infiltrate’ the country with our gay support campaign we hope to inspire many others and be a catalyst of change. I love this! Any LGBT propaganda, and I’m a fan. And I love the last sentence, because I’m definitely inspired by this social design. Presented by Stella Artois and the Perfectionists at Wimbledon, Rufus the Hawk takes us through a day in the life of the fiercest member of the tennis tournament’s security team. “A New Dawn” is the free-to-play game’s newest cinematic trailer, clocking in at a sprawling six minutes and enjoyable right to the end. I know nothing about League of Legends, nor do I play such video games – but watching this cinematic trailer really hits home how incredible technology is. It must be bizarre for someone who was born before computers etc. to see this kind of animation, and watch a character who looks unbelievably human. Over a third of parents report their child has had an accident on holiday that needed immediate first aid. I really like the approach to this – something different – an analogy rather than being literal and boring. ELO is a teddy bear that links hospitalised children with the love that is part of their lives. Got to love a bit of social design! Cute idea. 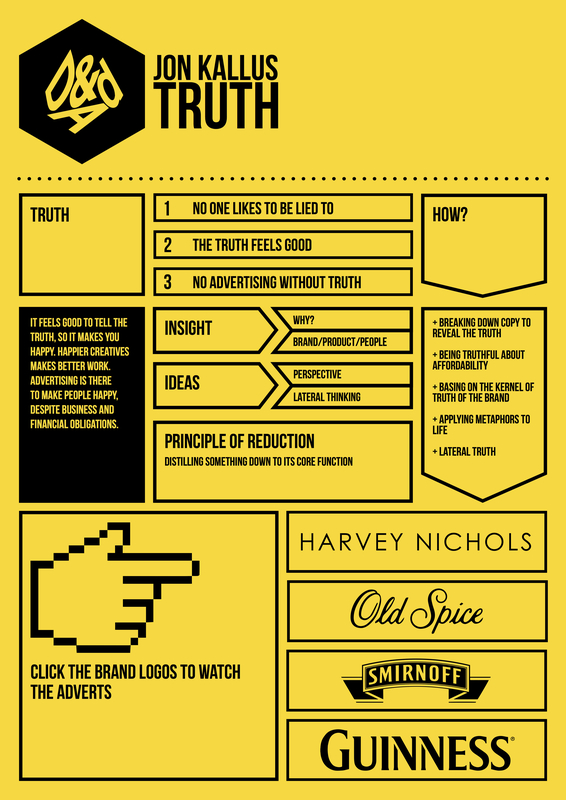 D&AD talk from Jon Kallus: Your mum knows more about advertising than you do. This infographic is interactive, so please click this link to enjoy the full thing! Debi shares the story of her daughter, who transitioned from male to female when she was four years old. She challenges the ignorant comments she hears. Who else is crying their eyes out?! Love this lady. The Mistaken Identity Project from Amazon Advertising on Vimeo. Sharing a name with a celebrity has got to be a blessing and a curse. But it can also make you mildy famous. Lynda Pearson and Millie Olson co-founded Amazon Advertising, an agency based in San Francisco. In the video below, they explain that while they and the e-retail juggernaut have filed seperate trademarks that keep each from encroaching on one another’s business, it’s gotten harder to maintain an identity as the Amazon that’s not THE Amazon. “We just didn’t know they were going to take over the entire world,” Pearson says. Today mobile technology is so crucial that it becomes among the things many people can’t live without. Mobile technology development strives to bring solution for communication obstacles and replace many, many things in our life. That’s why some people believe technology makes the impossible possible. Meanwhile, the more advanced technology has developed, the more longing we have for the one thing… the thing that technology can never replace. This commercial recalls the one thing that drives our life forward. Another emotionally manipulative TVC ad! Good concept, despite the obvious emasculinisation of the father. Because he has apparently never held his own baby….. because men are so incapable………..